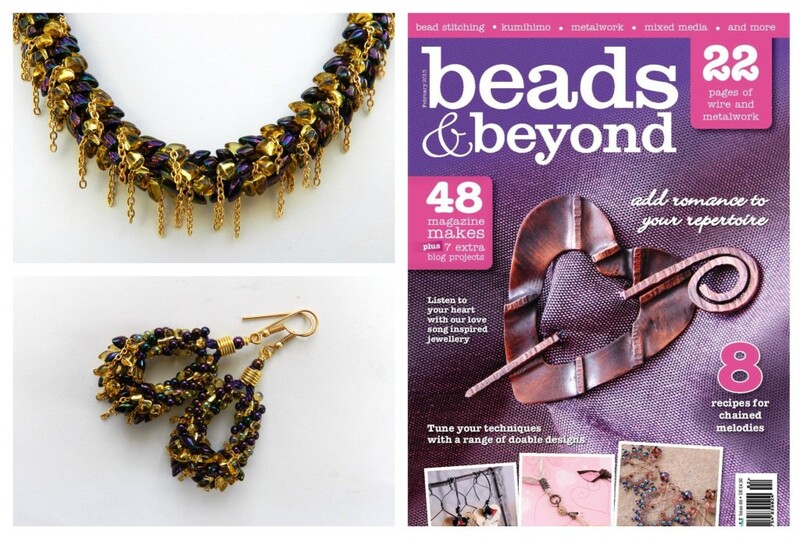 This was the music issue of Beads & Beyond, so this tutorial was named Purple Rain after the song by Prince. 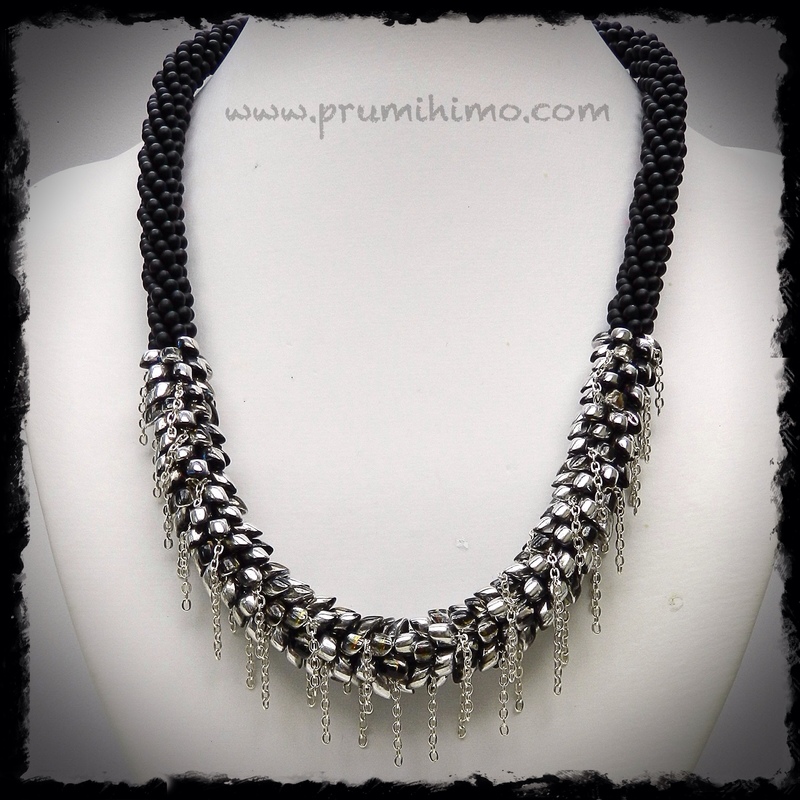 Magatamas, drops and chain were used in this dramatic necklace and earrings, which are full of quivering movement! The tutorial has been expanded, rewritten and renamed. 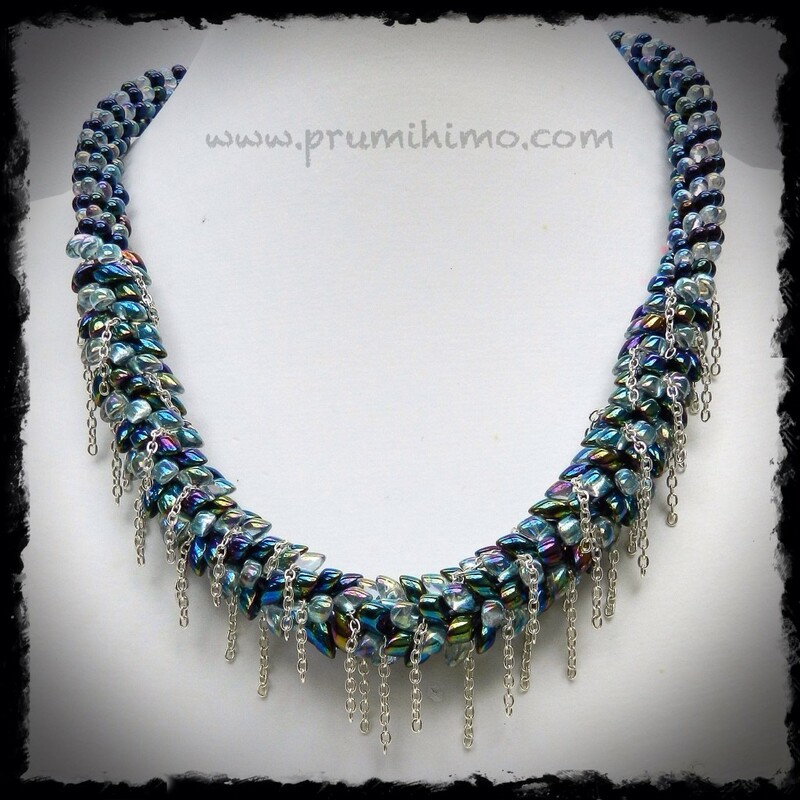 It can now be found in the shop under the name Cascade.